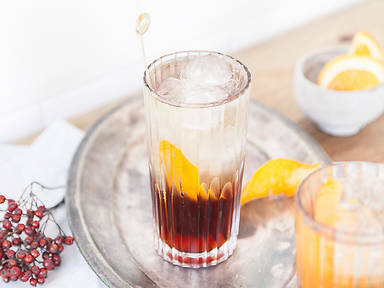 Add Campari, vermouth, and orange peel to a highball glass. Fill with ice. Top with soda water. Enjoy!